We’d love your help. Let us know what’s wrong with this preview of For the fragile Muses... by D. Jason Fleming. A chance encounter in a bar, a life story, some music. And, oh yes -- a mortal threat. 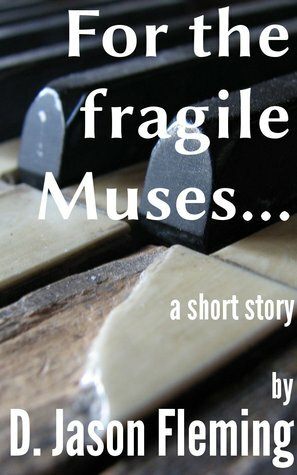 To ask other readers questions about For the fragile Muses..., please sign up. The piece has an interesting pacing and tone that allows for an easy read that conveys its message clearly with a firm emotional impact. The unique use of non-dialog speaking, while a little confusing at first, doesn’t detract from the pacing or flow of the work. In fact, it strengthens the author’s delivery of information in a way that feels quite natural once you visualize it as only his side of the conversation. It's use actually drug me in and had me (the reader) participating in the conversa The piece has an interesting pacing and tone that allows for an easy read that conveys its message clearly with a firm emotional impact. D. Jason Fleming is a geek and a wordsmith who presently resides in the People's Glorious Egalitarian Republic of California, mostly because they haven't let him out yet.